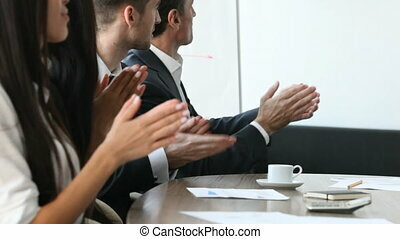 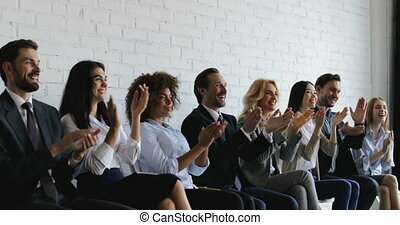 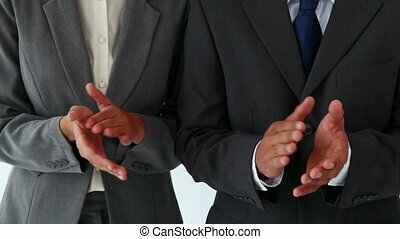 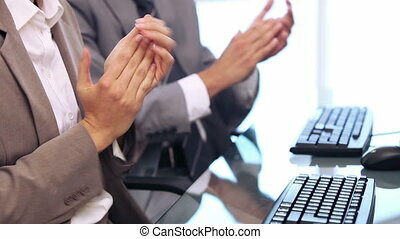 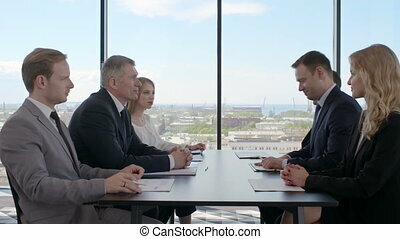 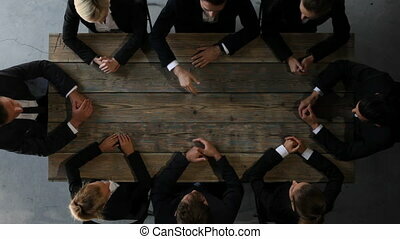 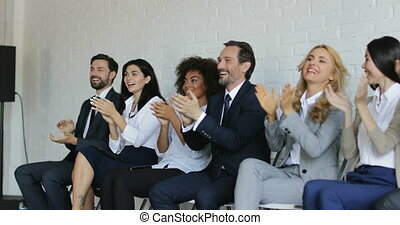 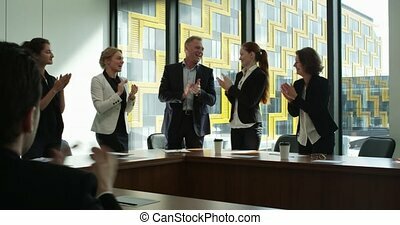 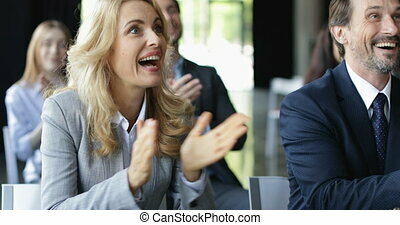 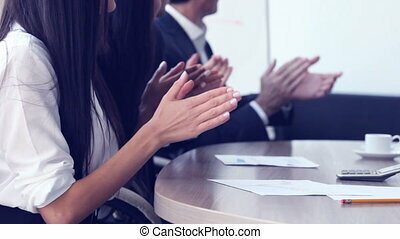 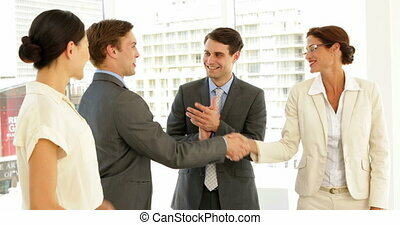 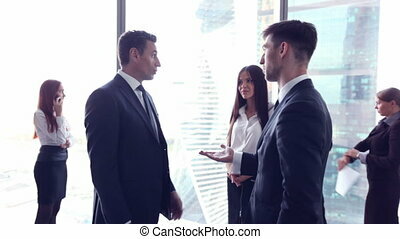 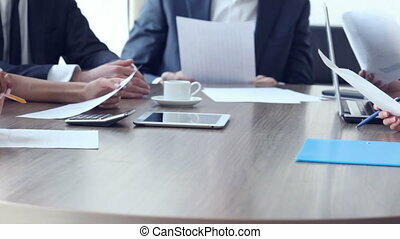 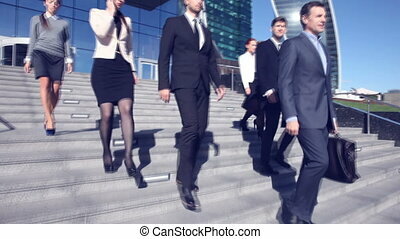 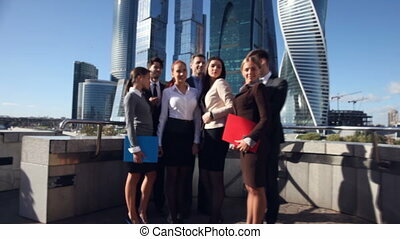 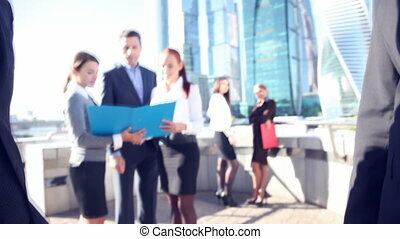 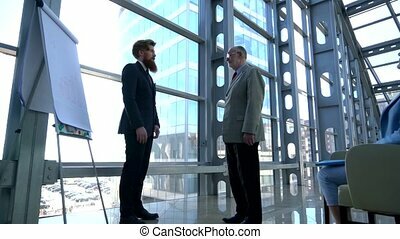 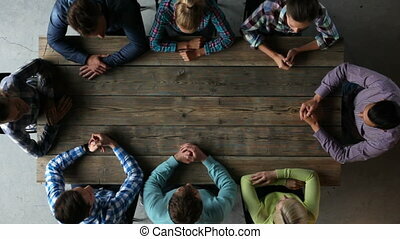 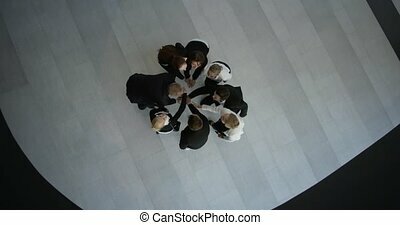 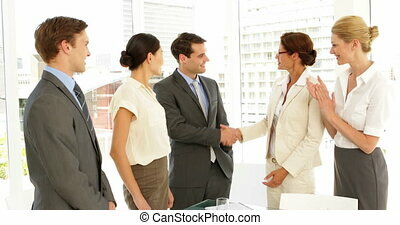 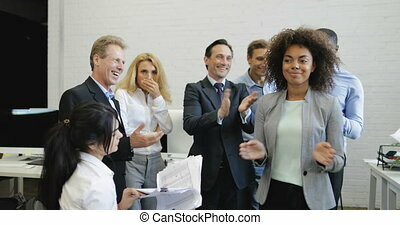 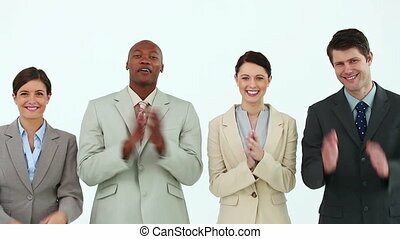 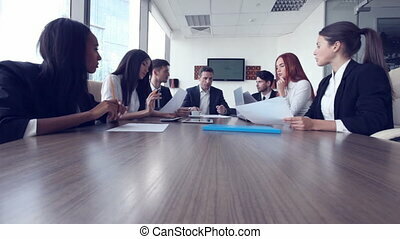 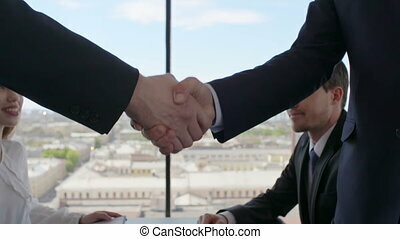 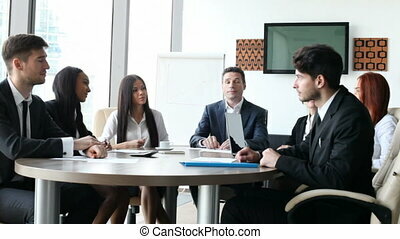 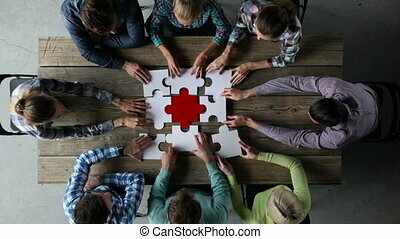 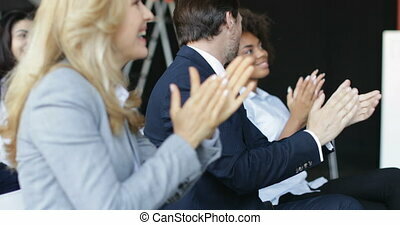 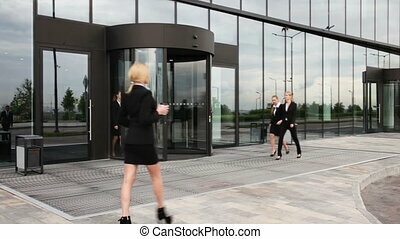 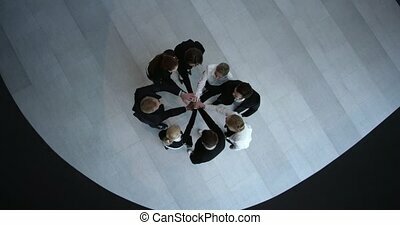 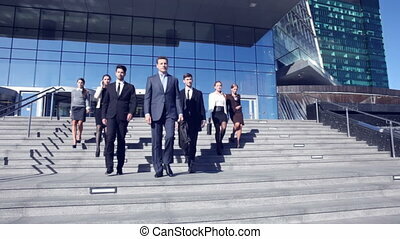 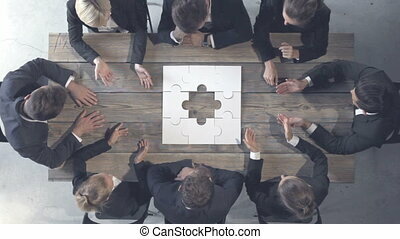 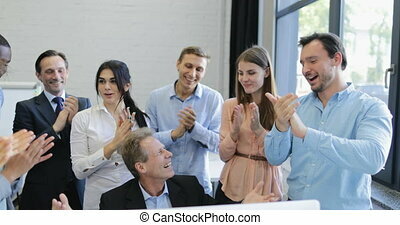 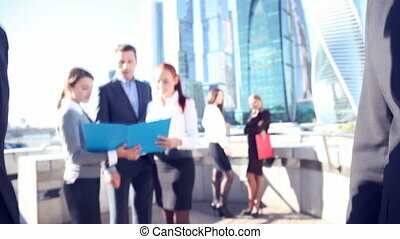 Business people clapping hands for consultant after a presentation in the office. 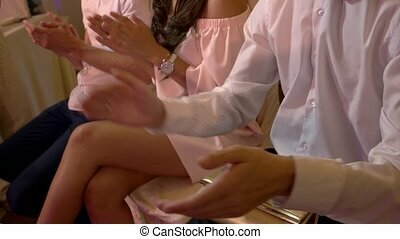 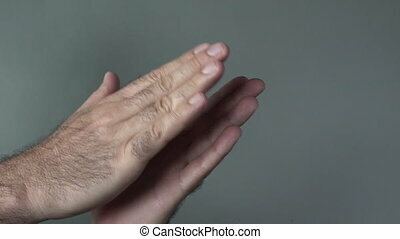 People clapping hands. 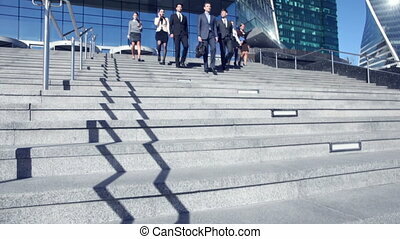 Men and woman sitting. 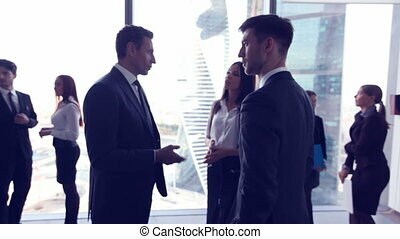 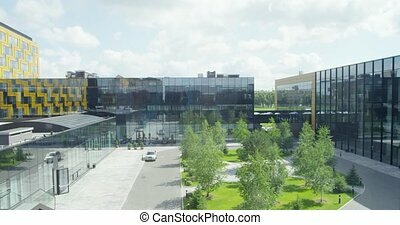 Support colleague at business conference.